There are many things that can cause snoring. And one of them is nasal congestion. Even if something else is the primary cause of your snoring, nasal issues can make you snore more often, or make your snoring more severe. Probably both. Nasal congestion. Some only have to worry about a stuffy nose during cold or allergy season. But, for others, nasal congestion is a chronic, ongoing problem. Structural defects. Many people who have a deviated septum (meaning the partition between the nostrils is crooked) also snore. Your anatomy. If you have small nostrils or a narrow nasal passage, you’re more likely to snore. Another problem is that nasal congestion can force you to breathe through your mouth. 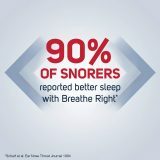 And breathing through your mouth while you sleep also increases the likelihood that you’ll snore. Fortunately, there’s a simple solution for the more common nasal issues. And that solution is a nasal dilator. A nasal dilator is a small device that opens up your nasal passages. This allows air to flow more freely through your airway. Studies have shown that snorers who wear nasal dilators often see a reduction in the frequency and severity of their snoring. Most nasal dilators are non-medicated. This makes them a great choice for those looking for a drug free solution to their nasal congestion. The goal of all nasal dilators is to open up your nasal passages. But different types of dilators do that in different ways. Nasal dilators can be split into two broad categories: internal nasal dilators and external nasal dilators. External nasal dilators are applied to the outside of your nose, and gently pull the nasal passages open. The nasal strips you see some athletes wearing are external nasal dilators. A nasal strip is adhered to the outside of the nose, just above the nostrils. The adhesive on the underside of the strip keeps it in place, even if you move around while you sleep. 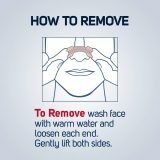 But the adhesive is also gentle enough to allow you to easily remove the nose strip in the morning. 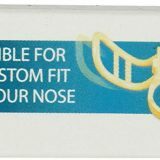 Nasal strips are made of strong plastic materials. You can squeeze the sides of a nasal strip together. But as soon as you let go, the dilator will open back up. And it’s this spring-like action that opens up your nasal passages. 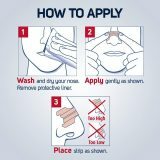 You apply a nasal strip across the top and down the sides of your nose, sticking it in place via the adhesive. Once you let go, the sides of the strip will try to pull apart again. This action will pull open your nostrils, and open up your nasal passages. Internal nasal dilators are inserted into the nostrils, and gently push the nasal passages open. There are many types of internal nasal dilators. The ones most are familiar with are cones or vents. These nasal dilators are made of a soft material. You can use your fingers to compress or squeeze the dilator, making it small enough to fit into your nostril. Once inserted, the dilator will expand, causing the nostrils and nasal passages to widen and open up. And as long the nasal dilator is in place, the nostril will remain open. Quality internal nasal dilators are made of medical-grade materials. They don’t require any adhesive to hold them in place. And they can be cleaned and reused. In fact, depending on the brand, an internal nasal dilator can last for several weeks or months. 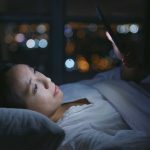 Some studies have found internal dilators to be a more effective remedy for nasal congestion (and, by extension, snoring) than external dilators. There are many remedies designed to alleviate congestion. Among the most popular are medicated nasal sprays. 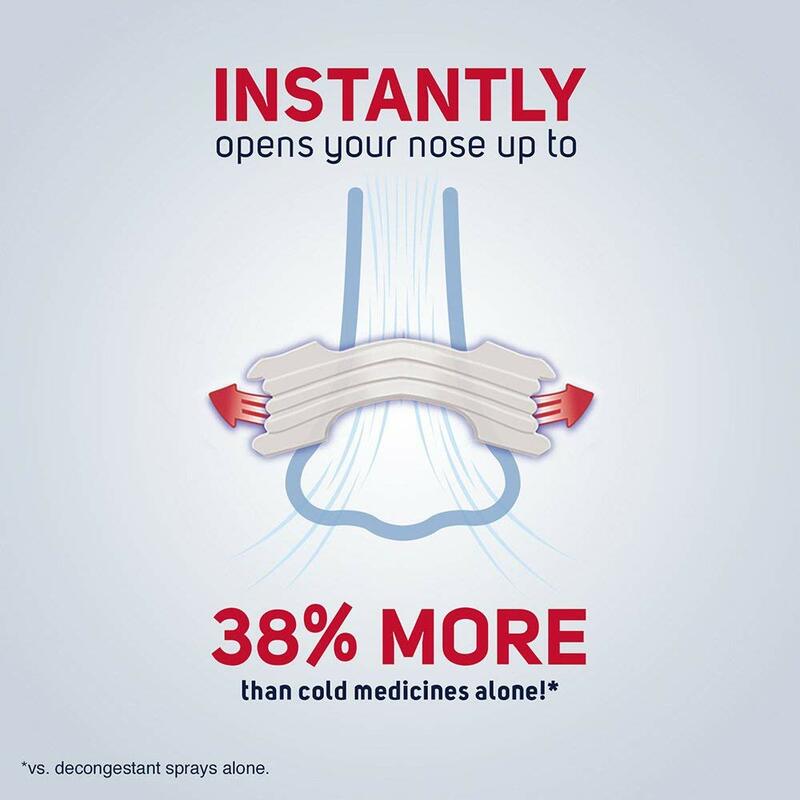 Medicated decongestant nasal sprays contain chemicals that open up the nasal passages, at least for a while. But these “over the counter” remedies aren’t a long-term solution. In fact, if you use any over the counter nasal decongestant for too long, it can cause a rebound effect that makes your congestion worse than it was before. Even if you don’t experience a rebound effect from over-using a medicated decongestant spray, your body will start to adapt to the medication in the spray. As a result, a dose that once did the job won’t be as effective anymore. You’ll have to use more nasal spray more often in order to get the desired results. Medicated nasal sprays can also cause negative side effects, like nose bleeds and throat irritation. And the spray itself can cause a burning or stinging sensation in your nostrils. Over-use of a medicated nasal decongestant spray can actually be quite dangerous, resulting in long-term health issues like chronic sinusitis. Most nasal dilators are non-medicated. This means you don’t have to worry about a rebound effect, or reacting badly to a chemical in the product. Nasal dilators also tend to work faster than other remedies for nasal congestion. And a nasal dilator will work as well for you the hundredth time you use it as it did the first. You suffer from chronic congestion, or nasal congestion due to cold or allergies. A nasal dilator can help you find relief day and night. You have a deviated septum. A nasal dilator will help you breathe through your nose more easily. You are pregnant and don’t want to use medicated, over the counter remedies for nasal congestion. You work out or play sports. If you sometimes find it difficult to breathe through your nose while engaging in strenuous physical activity, a nasal dilator could help you breathe more easily, and get more air. You suffer from nasal congestion but can’t take over the counter nasal decongestants. While nasal dilators work for many people, there’s no guarantee that one of these devices will stop you from snoring. This is especially true if the primary cause of your snoring isn’t a nasal issue. 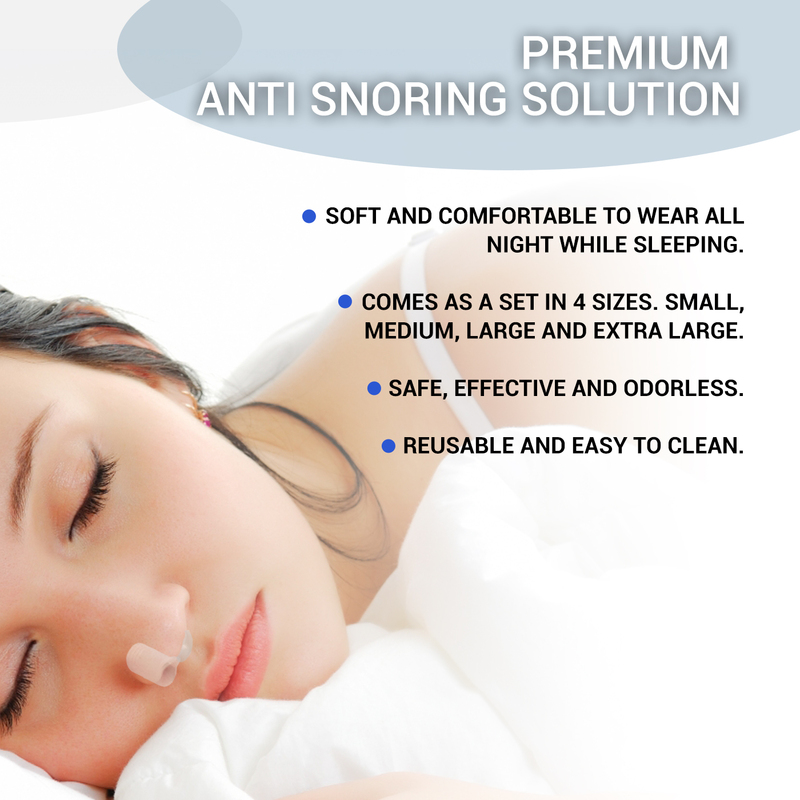 But, compared to some other snoring remedies, nasal dilators are extremely affordable. This makes it relatively easy for any snorer to try one and see if it works for them. One drawback of using a nasal dilator, especially early on, is that you have to get used to using it. At first, it can feel odd having an external nasal strip stuck to the top of your nose. And sleeping with internal nasal dilators in your nostrils might feel a bit uncomfortable the first night or two. But most people get used to using a nasal dilator within a few days. 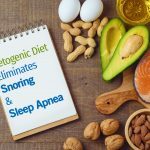 And a short adjustment period is worth it if a nasal dilator can help make your snoring less severe, make you snore less often, or stop you from snoring altogether. Nasal dilators have a lot going for them. 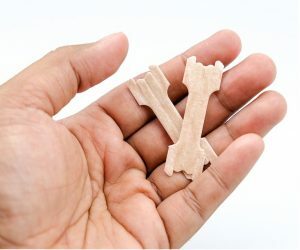 For one, they are extremely easy to use and take care of. And they’re drug free, one of their biggest advantages. You can use a nasal dilator while taking prescription or over the counter medications, like medicated nasal sprays, or oral nasal decongestants. 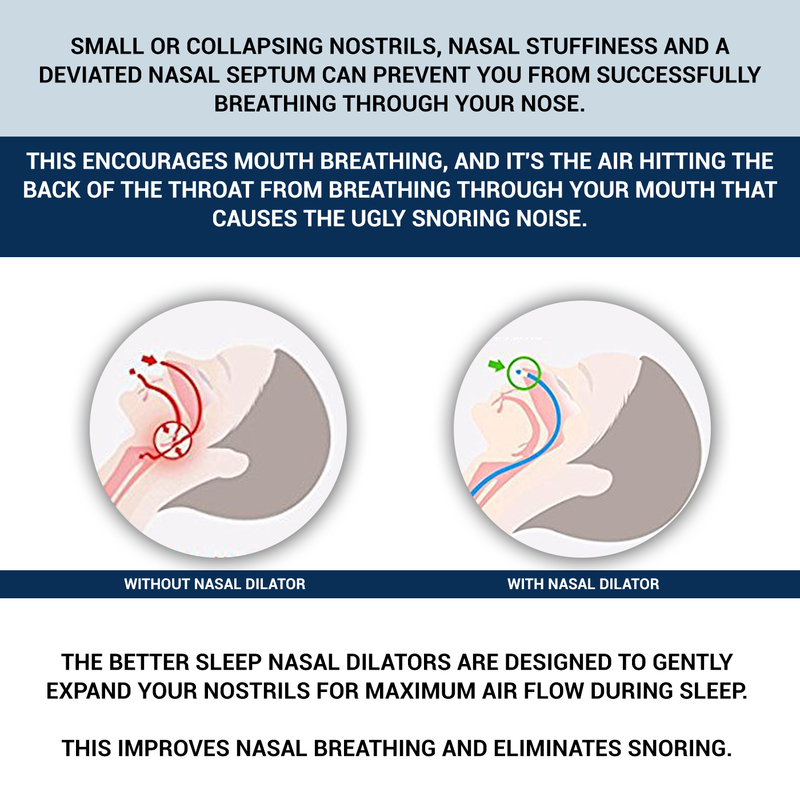 And if you suffer from sleep apnea and use a CPAP machine, you might be able to use a nasal dilator at the same time. Just consult your doctor to make sure it’s okay. There are dozens of nasal dilators on the market. But here are the four we believe to be the best when it comes to relieving nasal congestion and helping you to breathe easier. If you snore, consider giving one of these nasal dilators a try. 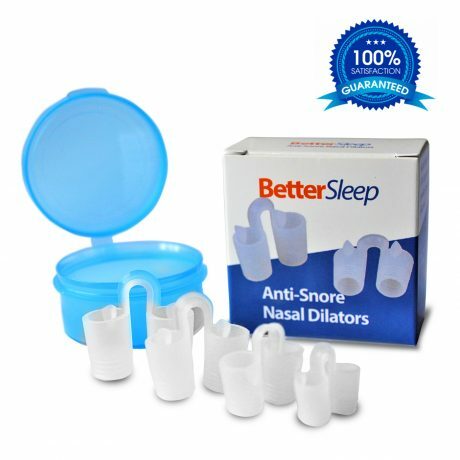 Better Sleep Anti-Snore Nasal Dilators are our top pick, and for good reason. These internal nasal dilators maximize airflow by gently expanding your nostrils. 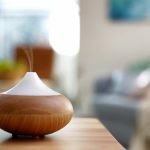 This will help you breathe easier as you sleep. Better Sleep Nasal Dilators are a great choice if you have a stuffy nose, have a deviated septum, or you snore. 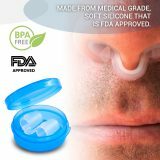 And if your nostrils are naturally small, and you sometimes feel you can’t get enough air breathing through your nose, these nasal dilators will help with that too. Here are a few things we like about the Better Sleep Anti-Snore Nasal Dilators. They are made of medical grade materials. These nose vents are made of medical grade silicone that’s BPA free and FDA approved. This rubbery material is soft enough for you to comfortably wear the Better Sleep Nasal Dilators throughout the night without a problem. They are odorless. The last thing you want near your nose is a product that has an unpleasant smell. Luckily, Better Sleep Anti-Snore Nasal Dilators are odor free. They are reusable. Better Sleep Nasal Dilators are made of a durable silicone material. Not only are the dilators easy to clean, but you can use them over and over again. And when you aren’t using your nasal dilators, you can store them in the included storage case. They are available in multiple sizes. Nasal dilators that fit properly are more comfortable and effective. And with the Better Sleep Anti-Snore Nasal Dilators, you have four different sizes to choose from, including small, medium, large and extra large. They are covered by a money-back guarantee. If you’re not 100% satisfied with the Better Sleep Anti-Snore Nasal Dilators, you can get your money back. 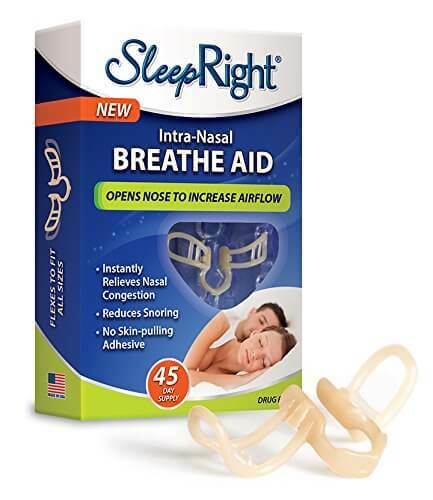 SleepRight Intra-Nasal Breathe Aids are another good choice when it comes to internal nasal dilators. Like all of the picks on the list, SleepRight Breathe Aids are drug free. And they are proven to be effective. According to one study, SleepRight these nasal dilators can increase airflow by as much as 58%. The SleepRight’s flexible nasal flares gently expand to open up the nasal passages. This instantly relieves nasal congestion. It also provides relief if you have a deviated septum. Here are some of the reasons the SleepRight Intra-Nasal Breathe Aids made our list. They are reusable. 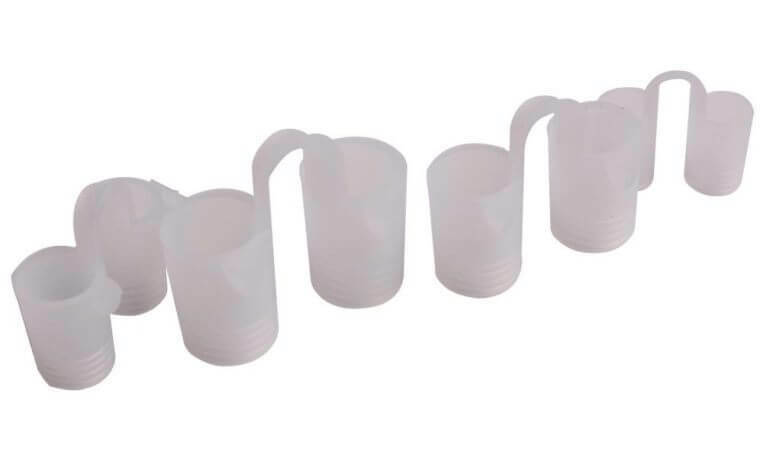 Each of these nasal dilators will last you for at least 15 days. And some users say they can last even longer than that. They are easy to take care of. To clean the SleepRight Intra-Nasal Breathe Aids, all you need is some cool water and mild soap. They come with a recyclable storage case. When you aren’t using your SleepRights, you can put them in the included storage case to help keep them clean and protected. Then, when you’re through with the case, you can recycle it. They’ll fit any nose. SleepRight Intra-Nasal Breathe Aids are made of a soft, flexible material. Not only are these dilators comfortable, they can conform to fit noses of all sizes. Unlike the other picks on our list, Breathe Right Nasal Strips are external nasal dilators. Breathe Right’s have been clinically proven to provide instant relief for nasal congestion caused by colds, allergies, and chronic sinus problems. 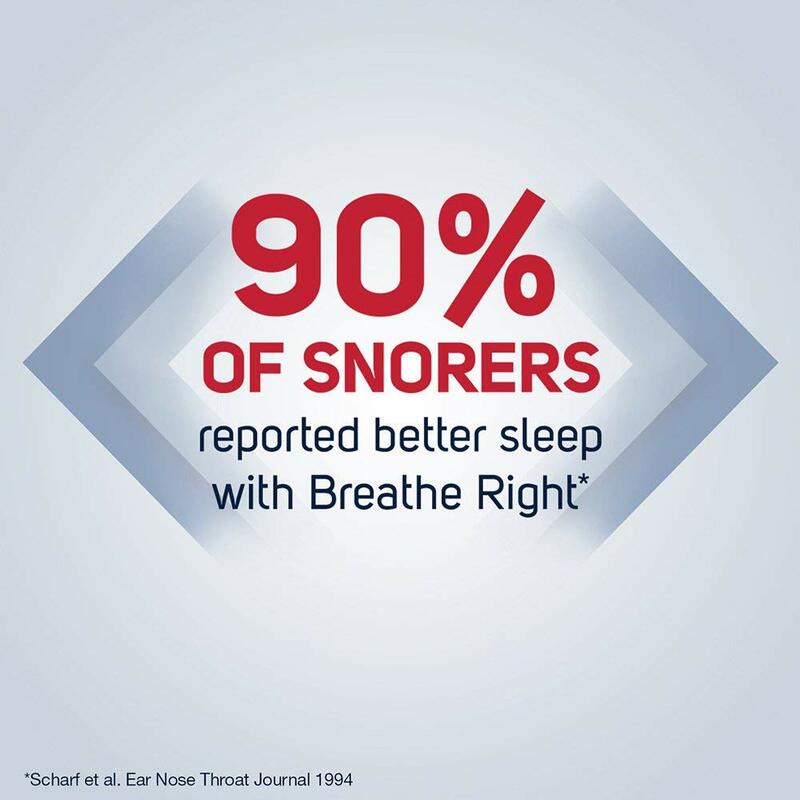 And in one clinical study, 90% of snorers said they slept better when using Breathe Right Nasal Strips. Breathe Right Nasal Strips contain flexible bands, and there’s a gentle adhesive on the bottom of each strip. 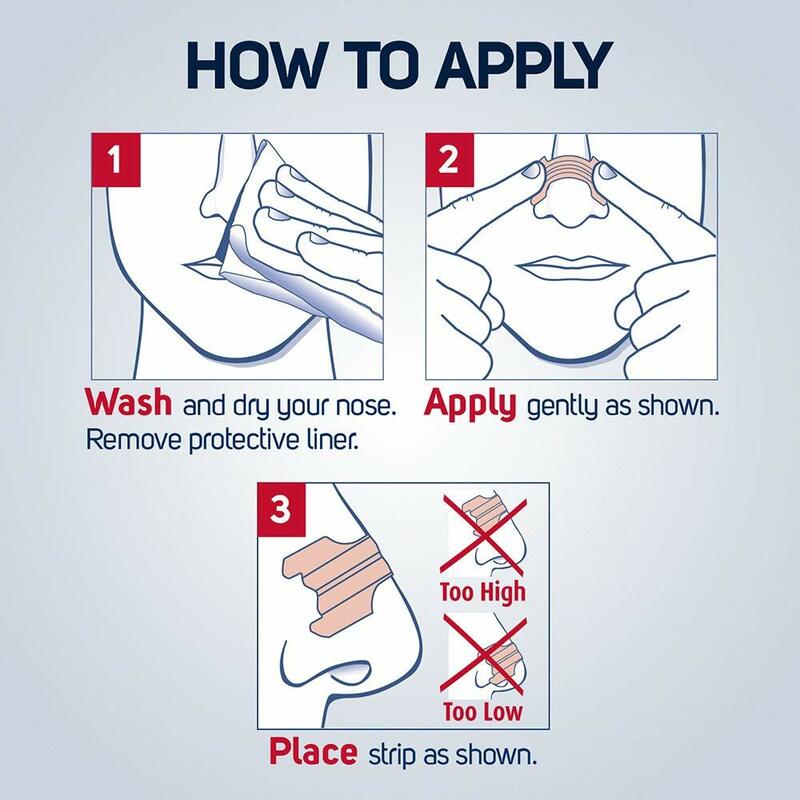 You apply the strip just above the flare of your nostrils, and then press the strip down the sides of your nose. The strip’s spring-like action will gently open up narrow or congested nasal passages. 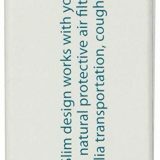 Why do we like Breathe Right Nasal Strips? They are proven effective. 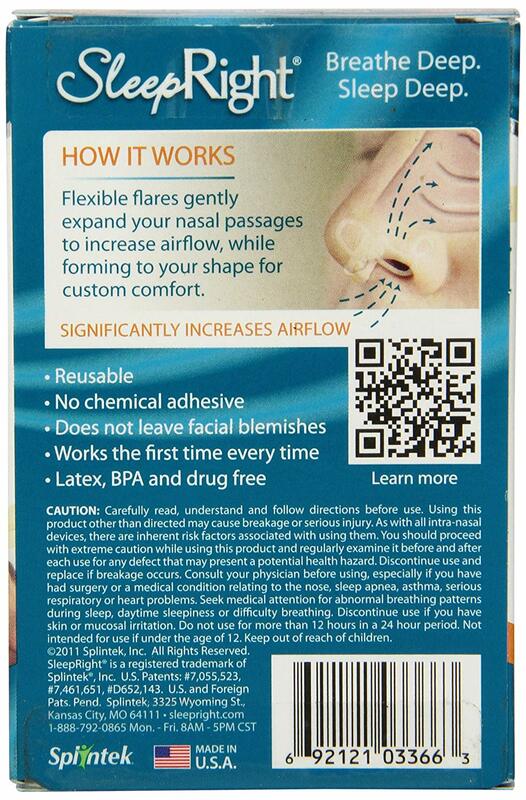 These drug free external nasal dilators lift and open the nasal passages to instantly help you to breathe better. 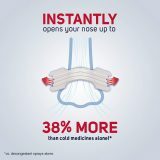 In fact, it’s been shown that Breathe Right Nasal Strips can open your nose up 38% more than just using a decongestant spray. They are made of quality materials. 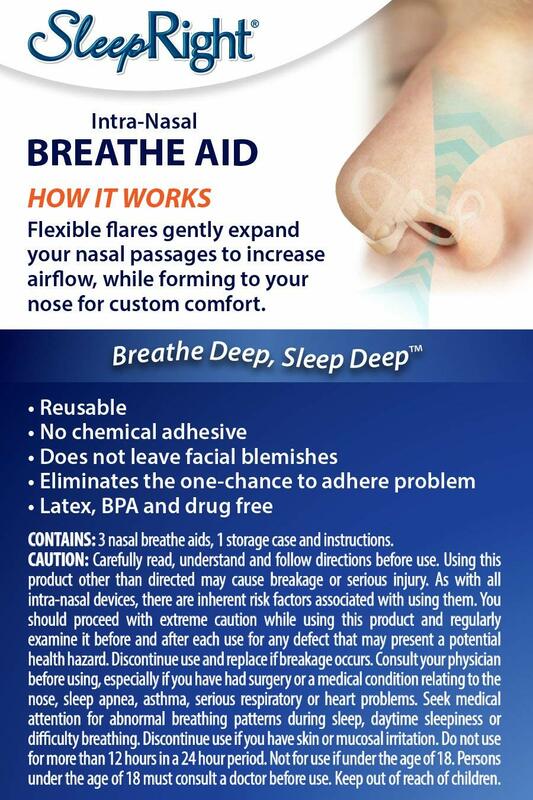 Breathe Right Nasal Strips are made using a medical-grade adhesive. Thanks to 3M technology, the nasal strips are comfortable to wear. And they can be removed with ease. You can choose the size that fits best. 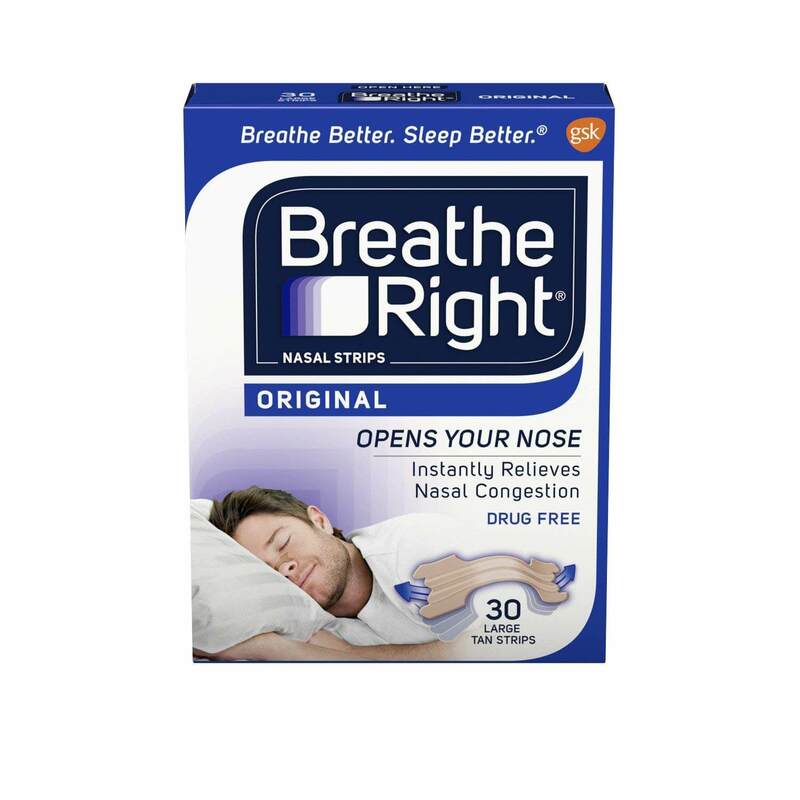 Breathe Right Nasal strips are available in two sizes, small/medium and large. 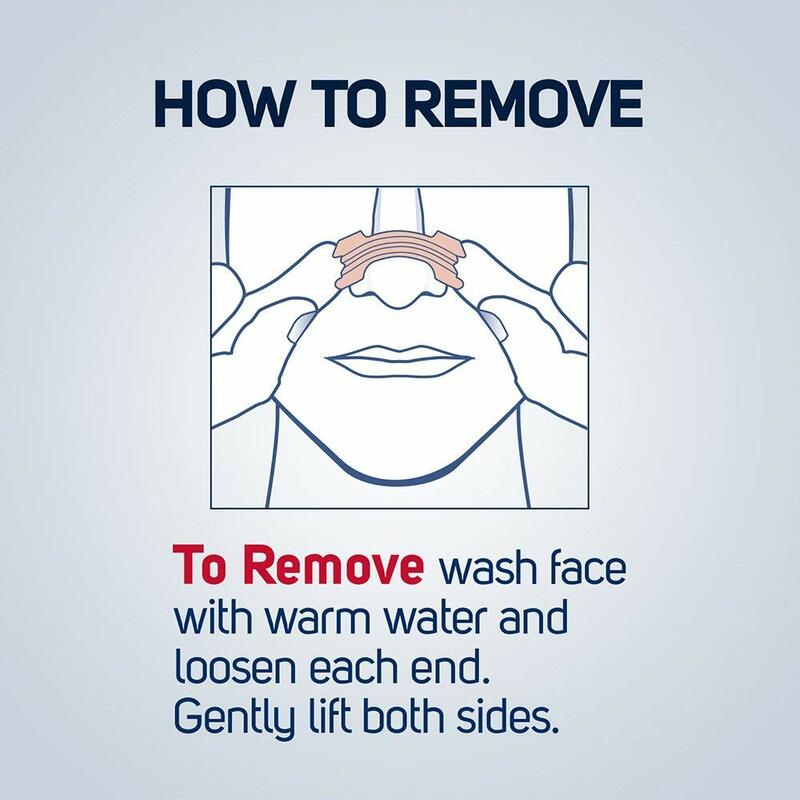 Choosing a size that’s right for you will make the nasal strip more effective and comfortable. You have a variety to choose from. If you’re looking for a nasal dilator that will help to alleviate your snoring, original Breathe Right Nasal Strips are a great choice. But you also have other options.Those with sensitive skin might prefer clear Breathe Right Nasal Strips. 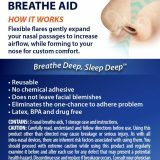 Extra strength Breathe Right’s have a little more adhesive power, to ensure the strip stays in place even if you toss and turn at night.There are even lavender scented Breathe Right Nasal Strips that will help you to relax. 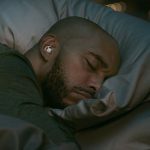 You might already be familiar with the popular Mack’s Earplugs. And the same company also makes a nasal dilator. The AIRMAX is a drug free internal nasal dilator that maximizes airflow and helps you breathe through your nose more easily. And this nasal dilator starts working immediately, expanding the air passages to reduce nasal congestion and alleviate snoring. The AIRMAX’s patented, aerodynamic design makes it a little different from the other picks on our list. While many internal nasal dilators are like cones with air holes that you insert into your nostrils, the AIRMAX looks more like a clip with “legs” on either side. The AIRMAX is easy to use. Just squeeze the dilator enough to insert the legs into your nostrils. When you release the clip, the legs will gently push against the insides of your nose, widening the nasal entrance and opening up the nasal passages. 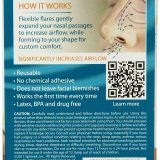 We like the AIRMAX Nasal Dilator for several reasons. It’s comfortable to wear. 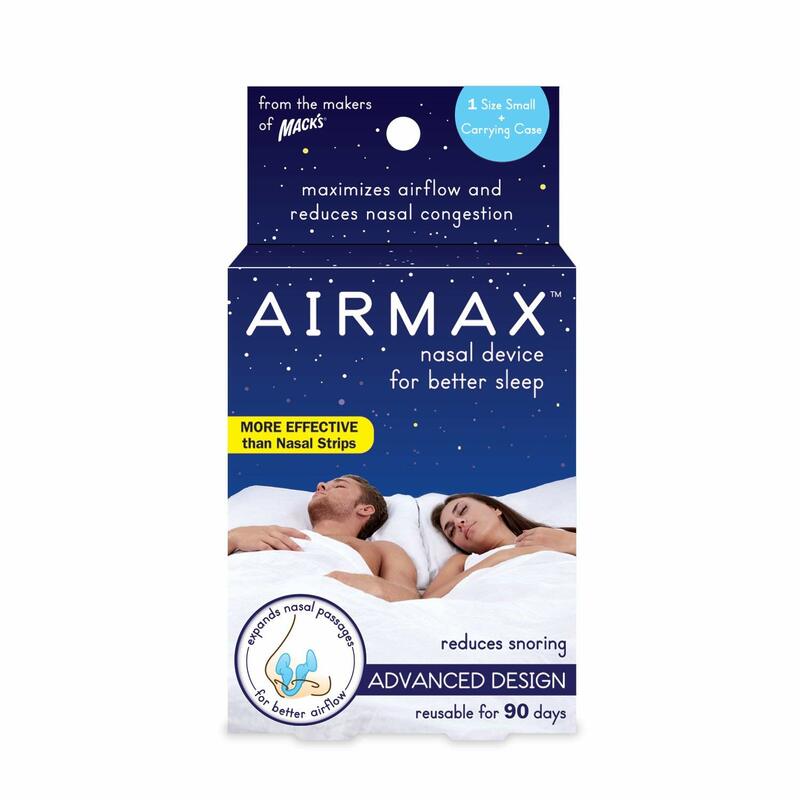 The AIRMAX Nasal Dilator’s patented “winged” design makes it both comfortable and effective. And no adhesive is required to hold it in place. It is FDA approved. 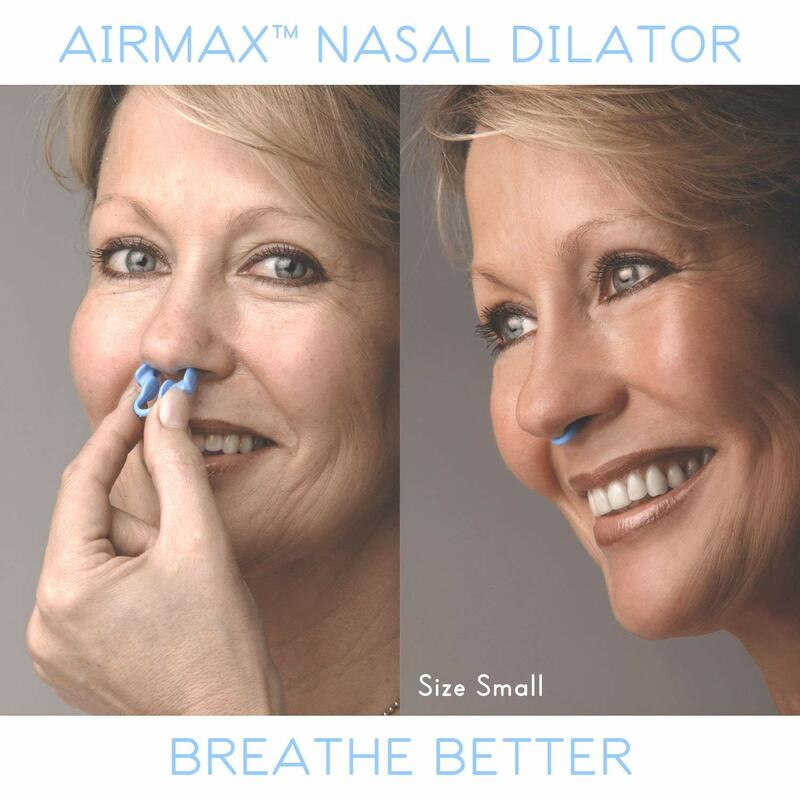 The AIRMAX Nasal Dilator is an FDA registered medical device. It’s made of Quality Materials. This internal dilator is made of a medical grade, plastic material that is soft, flexible and odorless. The material is also hypoallergenic and latex free. You can choose the size that fits best. 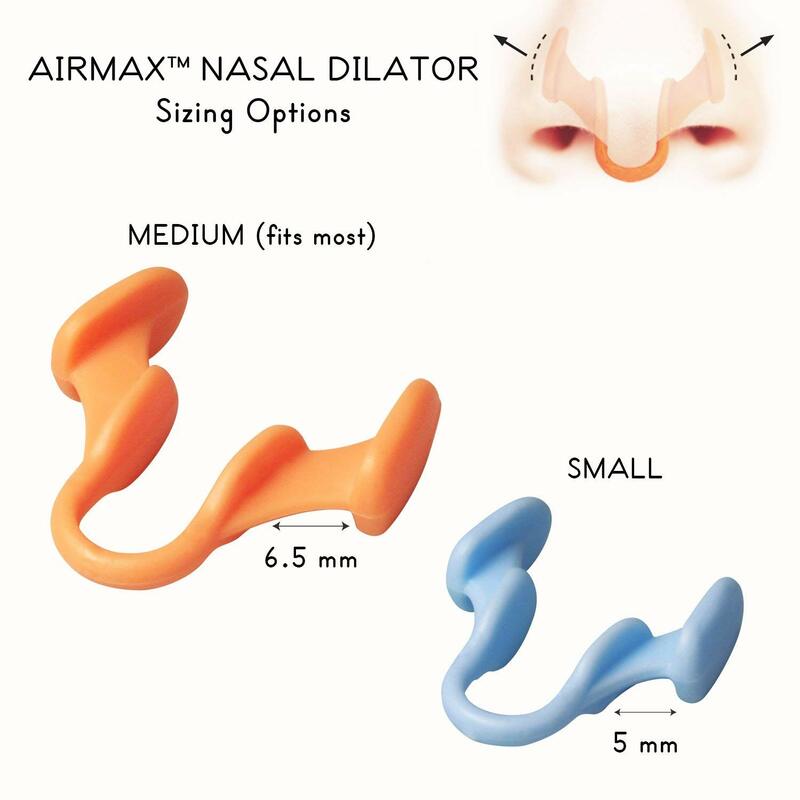 The AIRMAX Nasal Dilator is available in two sizes. The medium AIRMAX will fit most people. But it’s also available in a small size. It’s reusable. 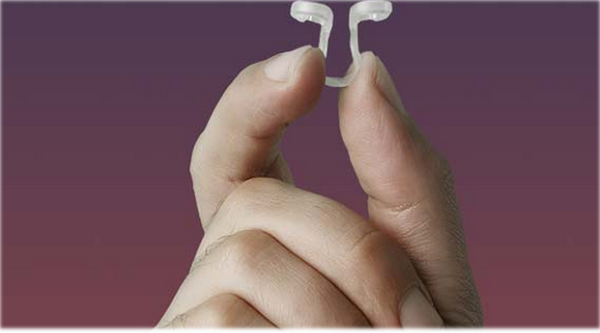 You can keep using a single AIRMAX Nasal Dilator for up to 90 days. And, in between uses, you can store the AIRMAX in the free carrying case that comes with it. Whether your snoring is caused by nasal congestion, a deviated septum, or a naturally narrow nasal passage, a nasal dilator might be the simple solution you’ve been looking for. And you won’t go wrong with any of the picks on our list. Our top 4 nasal dilators for snoring are all drug-free, comfortable, and affordable. And, most importantly, they work.